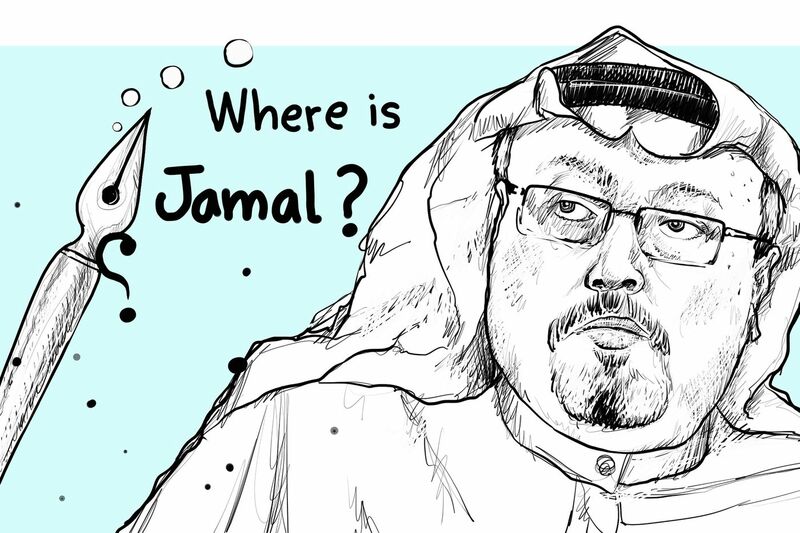 On Oct. 2, Saudi journalist Jamal Khashoggi disappeared after entering the Saudi Consulate in Istanbul. Khashoggi, who in recent years resided in Virginia and worked as a columnist for the Washington Post, is one of the Western world's most prominent critics of Saudi Crown Prince Mohammed bin Salman (MBS) — a man known to have little tolerance for dissent but often hailed as a modernist by Western media. According to an anonymous Turkish official, a Saudi assassin squad flew into Istanbul on private jets and waited for Khashoggi inside the consulate. The squad included a physician who specializes in autopsies. They also took a bone saw. The disappearance sparked an international diplomatic incident. The Saudi government claimed that Khashoggi left the consulate safely. President Trump said that he spoke with the king of Saudi Arabia, who denied any involvement or having knowledge about what may have happened to Khashoggi. Secretary of State Mike Pompeo flew to Saudi Arabia to meet MBS. Meanwhile, a Turkish official claimed they have evidence that Khashoggi was assassinated in the consulate, and CNN, citing unnamed sources, has reported the Saudis are prepared to acknowledge that Khashoggi died accidentally during an interrogation. Political cartoonists from all over the world have responded to Khashoggi's disappearance and alleged murder. Some cartoonists focused on the consulate, where Khashoggi was last seen, and the rumored happenings within. President Trump has come under fire for his tepid response to Khashoggi's disappearance. Multiple cartoonists used this news as inspiration to illustrate Trump's seeming adulation of dictators. Inquirer columnist Trudy Rubin echoed this sentiment in a recent column about Khashoggi, writing:"Trump has embraced authoritarian leaders who openly threaten journalists with murder, such as Filipino leader Rodrigo Duterte, or who silently tolerate such murders, such as Vladimir Putin." Kevin Siers, the Charlotte Observer, N.C.
Canadian cartoonist Michael de Adder focused on the crown prince's moderate and modernist reputation, which he earned, in part, for ending a ban on women drivers. As the world waits for confirmation about what happened to Khashoggi, cartoonists expressed their sadness and questions. John Cole, the Scranton Times-Tribune, Pa.